A mobile-friendly website is a website designed to display your website content on smartphones and tablets. It’s optimized for mobile devices because it makes it far easier for mobile users to read the desired content and navigate the website they choose to visit. A mobile-friendly website easily adjusts to the screen size and resolution of the mobile devices that visitors to the site are using. By formatting the interface and the content of your website in a manner that is mobile-friendly, not only will you make navigation easier and the text larger for it to be easier to read, but you will also optimize your website for touch screens by adding touch-friendly elements. Having a mobile-friendly website can have a great impact on your business and add to your bottom line. More than half of online traffic now comes from mobile devices. This is certainly one of the most important reasons to start considering making your website mobile-friendly, since the majority of your customers are most definitely visiting your website via their mobile phones and tablets. Google ranks sites based on many factors and websites optimized for mobile devices will be given preference in mobile search engine results, urging website owners to improve their websites and provide their users with a better user experience. Therefore, making your website mobile-friendly can significantly impact the ranking of your website in search engines. It can improve your search visibility, and enhance your brand identity and the user experience you provide. Call Washington Graphic Services (301-312-6803) - we can upgrade your existing website to be mobile friendly. Maintaining, editing, and updating Google Adwords accounts, and applying for free listings/ads for all search engines such as Google, Bing, and Yahoo! 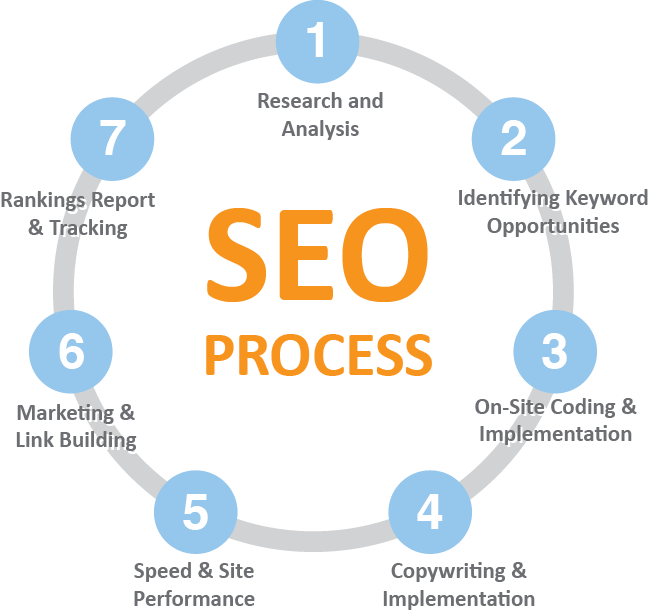 Your competition does all the above to keep ahead of you in search engine pages and rankings. Every business needs to fulfill these maintenance items to stay relevant. Washington Graphic Services can accomplish these critical services for you for a low monthly fee. You do not have to create any of this content… we do it for you and maintain your website. Call Washington Graphic Services today! Blogging and new content on your website helps boost SEO (search engine optimization) quality by positioning your website as a relevant answer to your customers' questions. Blog posts that specifically use a variety of on-page SEO tactics can give you more opportunities to rank in search engines and get customers to visit your site. But Google's copious algorithm updates make this tricky. And today's SEO best practices are all about relevancy and intent. Why do I care about this? Why do I need to do this on my website? Because these efforts lead to many more potential customers finding your website and in turns increases customers and revenue. Washington Graphics will create new content for you. We produce new content, stories, articles and graphics to your blog and social media. If you don’t have a blog we can build it on your sexting website or create a new website for you. Call Washington Graphic Services.. we get you more website traffic and more business! Washington Graphic Services does more than design websites. WGS keeps your website up and running! Websites are not something you do once. Websites need to be maintained and kept up-to-date for attracting new customers. Search engines such as Google and Bing rank your site based on updated, relevant content. 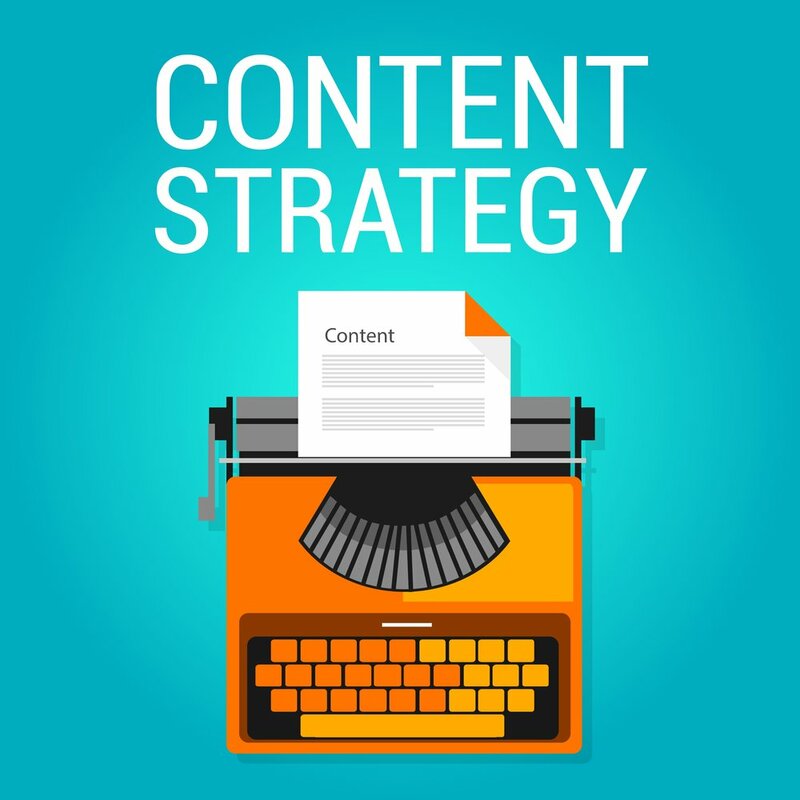 If you don’t keep content current, you won’t be ranked by Google and Bing in the top tier pages. WGS offers a wide range of creative and technical solutions to all of your website needs. We create relevant content, and program the back end of your website to attract customers. WGS edits and maintains your site over time to make sure you are getting the most out of your web properties. WGS troubleshoots, upgrades software, manages hosting and keeps your mail working. We also specialize in e-commerce solutions, custom web and social applications, mobile applications, as well as email routing/configuration. We offer a variety of plans to match your specific needs, and can work with a wide variety of web technologies to manage and update your site. 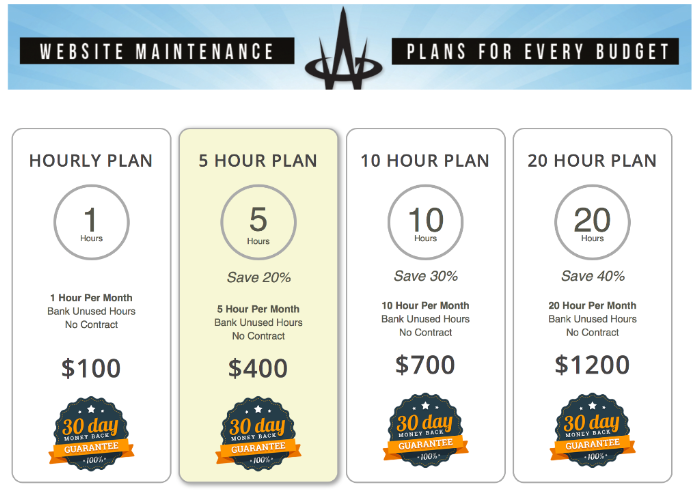 Visit https://www.washingtongraphic.com/plans/ or call today to learn more about our website maintenance options and plans. Nearly every business in 2018 owns a domain name for their business, and having email addresses for your employees that uses your custom domain ads a level of professionalism to your communications. Setting up email addresses through your web host can sometimes be tricky though for the inexperienced. You also have to decide whether you are going to handle your emails through your web hosts server, or whether you like them to be routed directly to an external service like Office 365 or Gmail. Different options come with different steps to be configured, which can quickly lead to email routing issues. Clients ask us often if we can troubleshoot their email issues, and it almost always turns out to be issues with how their email was initially configured. Email issues are common, and can grind a business to a halt if you depend heavily on email for your daily operations. If you’re having issues with your email routing, or would like to learn more, call Washington Graphic Services today! Do you have data that you need to display for your users or customers? You probably need a database that your users can search and explore on your site. And you’ll also need a place to host that database. Oh, and you’ll also need a way to edit and update the database conveniently and simply. As you can see, without the right expertise, building and maintaining databases can be overwhelming to say the least. Washington Graphic Services has extensive experience building, maintaining, and working with databases for our clients. WGS can create a searchable database on your site, and even create a dashboard for administrators to use in order to edit the database so that your users are always getting the most up to date information. We can work with you to create user roles and permissions for your dashboard so that you can manage any security needs that you may have. We also take care of all hosting needs for these various elements, so you don’t have to worry. If you are looking for a solution to your database needs, call Washington Graphic Services today to find out how we can help! Washington Graphic Services (WGS) designs and installs storefront and interior graphics in the DC/Baltimore area. WGS will take your storefront from outdated and uninspiring to WOW! Let our Design Team develop custom store graphics to turn your business into an attraction. Whether you are just looking to fill a few windows advertising your big sale or you want your shop front to take on a whole new look, we will handle your job in a timely and professional manner. Store fronts can be used in many ways. If you’re one of several businesses in a row, store front signs and graphics can be used to identify where you are and make you easy to find. Another option is to list your services and showcase your work. It helps the customer know and understand what your business does, and what you can do for them. You can advertise what you do, what brands you sell, what specials you have, all while educating your potential customer. Think billboard advertising, only more cost effective and driving them directly to your shop or store. Restaurants can use their storefronts to advertise daily/weekly specials, and retailers can advertise seasonal items or promotions while promoting their brand and image. Let the creative team at Washington Graphic Services take the free space outside of your shopfront and put it to work for you. 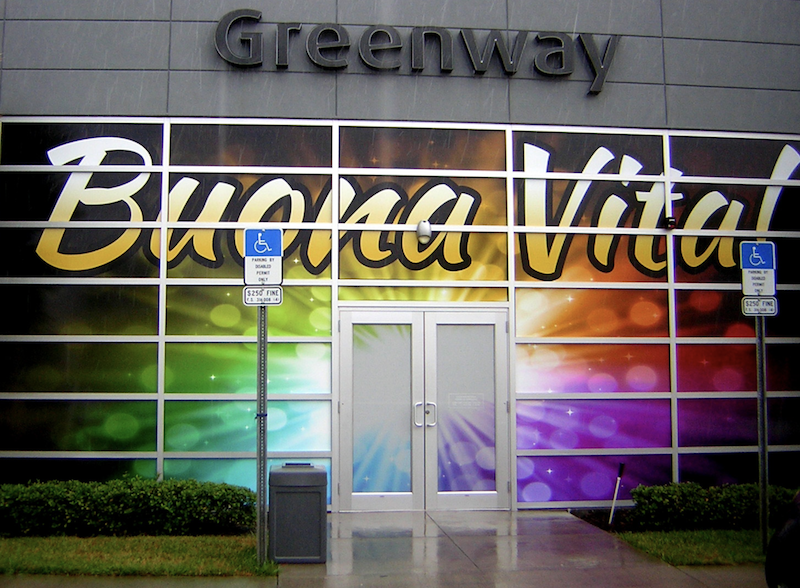 Our installers will install your custom vinyl graphic wrap quickly and efficiently. Contact WGS for your quote today.